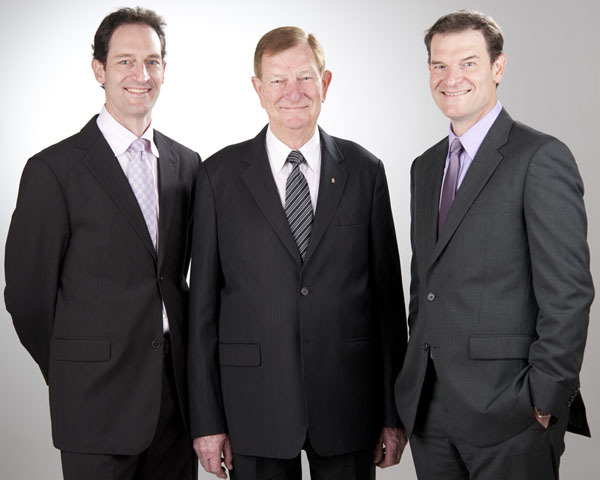 The principals of the CBD College are David Gee, Matthew Gee and Bob Gee. An MBA graduate of the University of Rochester, New York, USA, his undergraduate degree is a Bachelor of Commerce, from the University of New South Wales, Australia. David headed Disney's Film and TV Properties Division in Hong Kong from 1992 to 1994. After working in Hong Kong, he managed the Toys, Gift, Stationery, Food and Personal Care Division in the Disney Consumer Products Group in Melbourne, Australia from 1994-1996. Before working for Disney, David served as a Worldwide Treasury Manager in Wormald International in their corporate office in Sydney, Australia. David has also worked at a leading stockbroking company and a "Top Six" accounting firm. David co-founded Wave Licensing International in 1996. Based in Singapore and Hong Kong, Wave Licensing represented licensors such as Twentieth Century Fox, Lucasfilm, DreamWorks, MGM, Paramount, Eon Productions, BBC Worldwide and ABC Australia in Asia. In 1999 David also co-founded Wave Entertainment which specialises in producing high quality children's television programs. Their first creation of 26 x half hour pre school shows entitled Zirkos Kids, has aired in over 18 countries. David is co-founder of CBD College. Matthew Gee has a Bachleor of Economics (Honours) degree and a Bachelor of Laws (Honours) degree, both from the University of Sydney. Matthew graduated in 1995. Matt has also been a tutor and lecturer at the University of Sydney's Accounting Faculty. Matthew co-founded Wave Licensing International in 1996. Based in Singapore and Hong Kong, Wave Licensing represented licensors such as Twentieth Century Fox, Lucasfilm, DreamWorks, MGM, Paramount, Eon Productions, BBC Worldwide and ABC Australia in Asia. In 1999 Matthew also co-founded Wave Entertainment which specialises in producing high quality children's television programs. Their first creation of 26 x half hour pre school shows entitled Zirkos Kids, has aired in over 18 countries. Matthew is co-founder of CBD College. Bob has a Bachelor of Arts degree, majoring in Economics from the University of New England, Armidale, NSW,Australia and a Teaching Certificate from ArmidaleTeachers' College. Bob worked in the field of education for some years, teaching in both Australia and Canada. He also lectured in Education at the Wagga Wagga Teachers' College, Australia. In the late 1960's Bob joined the Department of Foreign Affairs and Trade and served as Australia's Trade Commissioner in Nairobi (Kenya, East Africa), Beijing (China) and San Francisco (USA). Bob has had many years of experience in the commercial field and has travelled extensively in the Americas and the Asia/Pacific region for the past 30 years. After training as an infants teacher, Melva completed her Bachelor of Arts, majoring in English, at the College of Notre Dame, Belmont, California. Melva also has a Teaching Certificate from NewcastleTeachers' College. She worked in schools in Australia and Canada before moving into the horticulture industry. Melva spent 20 years in office administration before a change in career led her to the television industry. She has completed courses in writing for children and script writing. Melva has had many years of experience in the commercial field and has travelled extensively in the Americas and the Asia/Pacific region for the past 30 years.